In the 1960s, the Netherlands discovered deposits of natural gas in the North Sea. As a result of this discovery, the export of this resource increased, causing the Dutch currency to appreciate considerably, thus making its entire economy rich, since now a large quantity of goods and services produced in other countries could be imported. Due to this, the import increased as the export of natural gas increased. The result of this process led to the Dutch industry not being able to compete with the international industry. However, once the international price of natural gas declined, Holland could no longer export goods and services, and its domestic industry had gone bankrupt. This phenomenon is known as the Dutch disease. It occurs because the inflow of capital received by a single product, usually some raw material, is greater than that received by the rest of the economic sectors, then, the people and industries that were previously engaged in producing a certain variety of goods and services, stop doing so, to dedicate themselves to satisfy the demands generated by the booming sector, so when this sector falls, all the others as well. Think that you are in a very poor country, which needs the export of coffee and sugar cane to be able to import food, but one day, one day, they find a huge oil field. Foreign companies arrive, install their machines, bring their specialized workers, extract the oil and export it. Of course, they pay taxes to the State, so now this can pay for public services for the first time, now citizens will have access to education and a health system, and in fact, you will also benefit, now you can stop work in the field, and you can go to the city, maybe be a doctor or professor, after all, now the State is offering those jobs that did not exist before, or maybe you prefer to work for a foreign entrepreneur who decided to found a bar in the outskirts of the oil plant to sell workers a little liquor when the day ends. Soon the fields of coffee and sugar cane are desolate, there is no one who works in them, everyone wants a bit of oil money. Everything is going well, until finally it does not. The oil price in the international market is below the operating costs of the extraction company, so it stops paying taxes to the State and has to let go of many of its workers, as a consequence of that, the schools and hospitals should also do the same, and of course, the bar owner should fire you or make you work for a lower salary than you had when you worked in the field, because now there are fewer clients, and also, with less money. If the price does not rise soon, schools and hospitals will have to close, and the bar too, however, the fields have been left empty and the harvest has not been harnessed. Thus, all activity that had real value ceases to exist because it has been subordinated to the passenger. How does that affect Steemit? You see, as we all know, at some time last year, the cryptocurrency market experienced a sudden and impetuous price rise, the Bitcoin reached a price limit of more than $20,000 per unit, beating month after month, week after week, day after day, hour after hour, the historical maximums. As a result of this, the rest of cryptocurrencies benefited a lot because money flowed in one direction, from outside to inside. Day after day the demand for cryptocurrencies increased, and when that happens, a scenario is created in which various entrepreneurs, and in this case many scammers, can increase the supply of cryptocurrencies, as they did, by filling the market with, literally, garbage. As a result of this, many cryptocurrencies that until then were functioning normally and were supported by relatively reliable and solid projects began to suffer severe distortions. The objectives, which at first were clear, were no longer there, the money flowed in great quantity and with great speed, so the purpose was no longer to reach the ultimate goal for which the cryptocurrency was designed, whatever it was, but the only thing that mattered was the price. Thus, tens of thousands of people began to join the market, not because they supported any particular project, but because money was flowing. A couple of posts in Steemit could give juicy profits, and a considerable investment in SP, taking into account that the SBD was at a very high price, could effectively make the investor get a good return. But when the supply exceeds the demand, which was what happened, the price starts to fall, and when that happens, many of the people who joined the market only to obtain immediate profits, begin to withdraw their investment, as a result of this, there is a domino effect in which the supply increases much more than it normally did, because as with companies shares, cryptocurrencies are not consumed, they simply change owners, and if someone or something it emits more units at a faster rate than the demand grows, what will happen is that at a certain moment the supply exceeds demand, causing the price to go down, and that owners began to sell, increasing the fall even more. That is, when the price falls, and you or I withdraw our SP to sell it for that reason, the only thing we do is increase the supply even more and help the negative trend to continue. In this sense, this situation is devastating, because although we might think that it only affects unsolids projects, it is just the opposite, what happens when the Dutch disease occurs is that solid projects are the first to be harmed, because in the first instance they did not need the injection of capital to continue existing, because they already had a stable growth rate, consolidated and based on their own activity. 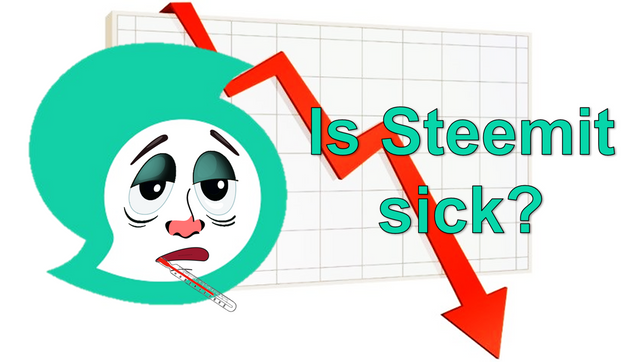 As with the coffee and sugarcane fields, today Steemit's activity is below the level it had even before prices went up, and as a result, the price of Steem is also lower. What is the cure for this disease? There is only one; return to the field, or in our case, to the keyboard. The rats are leaving the sinking ship. Or they just think it's sinking. I have come with nothing, have seen my wallet grow to a proud 10,000 SBD and now see it at 1300. Briefly the feeling of a missed opportunity flashed up, but the money would have given me more trouble than pleasure and so I have observed everything. Your observation is accompanied by healthy objectivity. The whole life takes place in the same way. One up and down and back and forth and we in the middle of it. Keeping your nerves, keeping your calmness and asking yourself what you really want here is certainly not the worst thing you can do. I have become accustomed to a considerable sum of SBD among my contributions and it is only this habit that occasionally drives me in between and pretends to be a kind of loss. In truth, I haven't lost anything, I've gained a lot of experience since I've been here. I have familiarized myself with a completely new technique and don't have to look into the tubes when my son comes around the corner and presents me with things from the Internet that I can hardly understand. In a way, I am also forced to keep up with the times. One part of me likes that, the other rejects it. What you say about the communities: Correct. If you let yourself be made crazy and sad, you're part of the great depression. Your continuity and perseverance is refreshing and calming. I know some people here on Steemit who have such charisma and I like that it gives me hope and keeps the good faith in common sense. Who says my personal community has to be huge? In truth, this low time gives me an opportunity to take care of people I might not have time or patience for otherwise. Lowering the pace also gives me time to breathe and reflect before it gains momentum again and throws me into exciting exchanges. Whenever that might happen. I do not care too much. Yes, many people left, or simply decided to wait until prices rise again to publish. On the one hand, it's okay, every person makes their decisions, I can be wrong. Now, even so, I think that although Steemit will stop providing economic gains, I would continue to visit this place while it was possible, since I have obtained a value different from the monetary one here. It is an international community in which each person contributes a little of the experiences he has acquired in the different places where they live. Yesterday I was able to read some posts about what is happening in France, and thus listen to the opinions of citizens of those countries and not of the media. When I arrived here, and some noticed that I was from Venezuela, they asked me to write about the economic situation, and I did. In some ways it is a good place to get information and thoughts from other people. A few days ago I wrote about Wu Wei, to mention the first thing that comes to my mind, and that is precisely a concept that I met through this community. On the other hand, money is also important, if it were not for the money in the first place, I probably would not have arrived here. The problem is that at a certain moment the price went up a lot and the community did not grow to the same extent, that is, it was an inorganic increase. On the other hand, you mention that your account had a value of 10000 SBD, which is great, it's a shame that has decreased, if I remember correctly, my account came to have a value of $2000, an amount that will not be very high in Europe, but it would surely be a great relief where I live, however, although I had the slight temptation to do Power Down, I did not, because that amount of money really represented a very small amount of SP, so my capacity to participate in the community would be reduced. Personally I don't have the aspiration to accumulate an excessively high amount of SP, I guess after accumulating enough to vote commentators in an acceptable way, I would Power Down with the rest, of course, only when the price is high, because otherwise, selling when the price is low would be selling out of fear, and I don't have a good experience making decisions based exclusively on emotions. The point, I think, is not to plunder but to build. Thanks for your dedicated comment. Regards! No one can increase STEEM's value with their keyboard. Literally no, I don't think so. It's more about building a healthy community here. 'Dutch disease'. Finally I have a name for what ails my country (which, by the way is a perfect real-life scenario for that oil-boom example). I just hope the 'cryptospace' can recover on time. This Dutch disease better not be terminal. Indeed, Nigeria has that economic problem just like many other oil exporting countries. Regards! 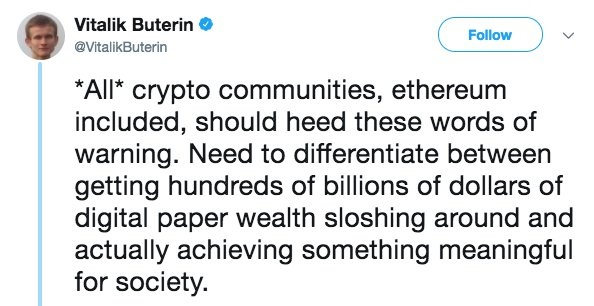 The biggest problem for projects like Steemit is that for now, all crypto is lumped into one with Bitcoin meaning it is very difficult for any project to establish its own value as the market will follow Bitcoin. It is true, it is the problem of centralization, however, the value is not only measured in the price, but also in the community, a solid community can withstand the storm, a weak community, sinks when the price sinks.